Please add this message to the many you have received in support of mail processing in Oshkosh, WI. I would like to voice my opinion regarding the Area Processing Study (AMP) that commenced on August 2, 2010 in Oshkosh, Wisconsin. 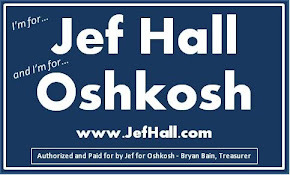 I am opposed to the consolidation of the Oshkosh, Wisconsin Processing and Distribution Center (P&DC) to Green Bay, WI or elsewhere. I am concerned about having to sacrifice the mail service I currently receive and have grown to expect. The Oshkosh facility currently has the most First Class overnight commitments in the whole State of Wisconsin. Moving the mail would mean a lot of these overnight commitments would now become two day commitments, that which is the standard in Green Bay. As well as the possible compromising of levels of service, I am also concerned about the loss of local jobs in the 549 area and the effect it will have on the local economy such as loss of revenue and loss of property tax payers. Furthermore, I believe that the post office is a necessary part of the business infrastructure for Oshkosh, Winnebago County and the entire 549 zip code. Additional bulk mail costs will be figured in to the calculus made by potential employers moving to the area, and current employers as they manage their business. Let it be put on record that I have responded in opposition to this AMP study. USPS has a responsibility of maintaining the current service standards and of making improvement in service and to not degrade that service as would be the result of closing the Oshkosh Post Office.